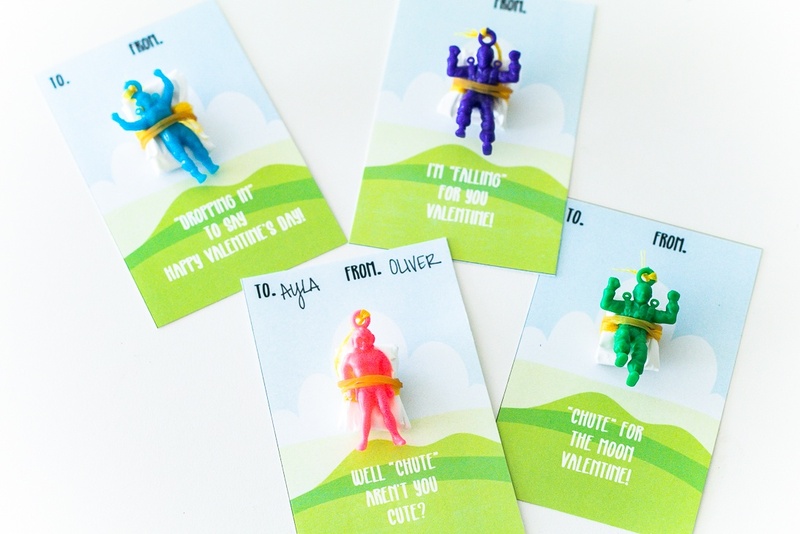 Well “Chute” these Parachute Valentine cards are sure cute! 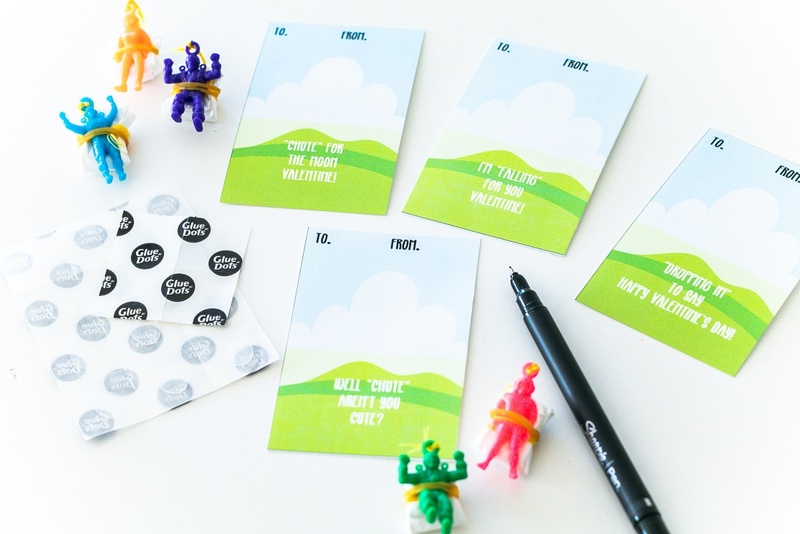 Add a little paratrooper toy to these free printable cards for some non candy fun! These little parachute toys from Oriental Trading are classic. I totally remember throwing these off the porch at my house as a kid, and the entertainment they provided! 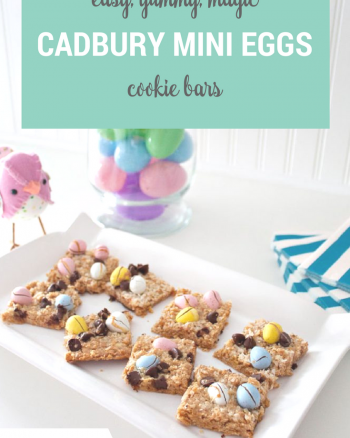 My kids love them too…I even catch my teenagers running back up the stairs for one more throw! This little set of mini paratroopers has both males and females in a variety of colors and are just super tiny and cute! 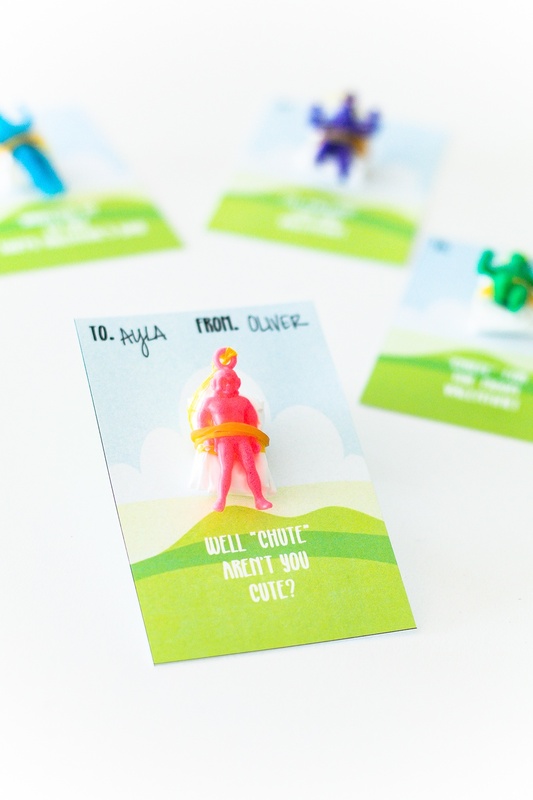 Once you’ve cut out your cards you can have your child write out their friend’s names in the to area and who they are from in the from area. Then just glue dot the back of the parachute to the card. My eight year old was able to do all of this himself in about 20 minutes. I checked the glue dots a few times to make sure they weren’t ripping the chutes, and so far so good! If you are worried about it though, you could also tie them on. 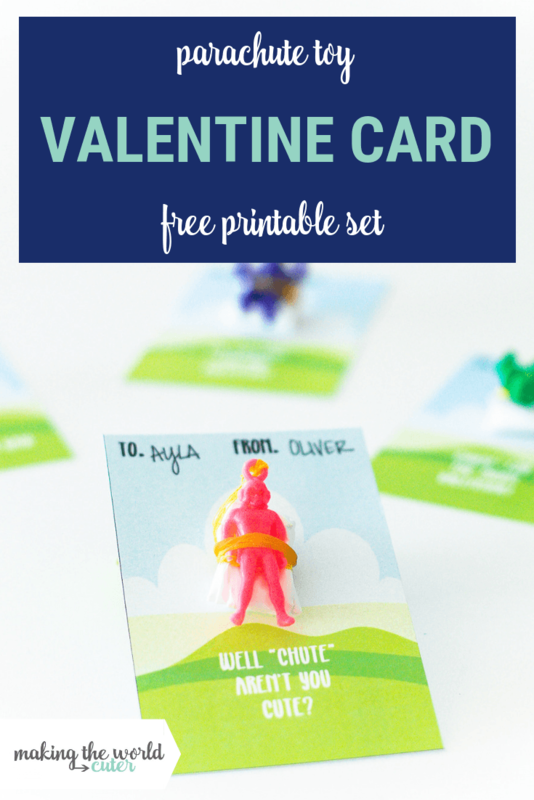 Be sure to check out all the other free printable Valentine cards here on Making the World Cuter!